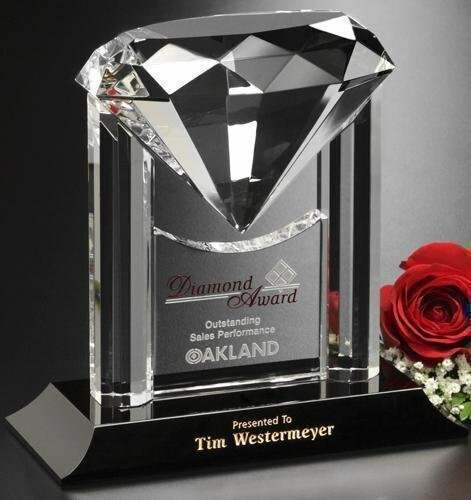 When you want to reward the best, consider the Opulence Award. 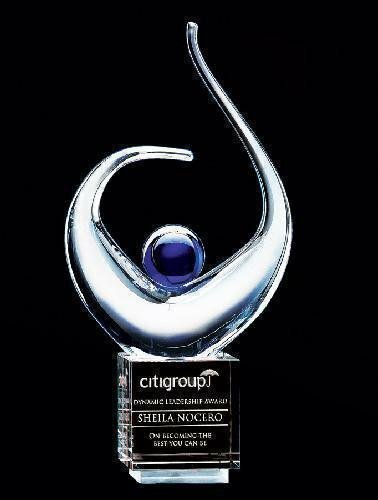 Its design communicates greatness and should be used to reward only the peak performers in your organization. 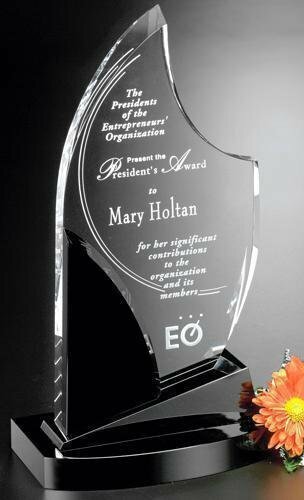 Elegant is the only term that one can use when describing these 1" thick Oval Acrylic Awards. Each piece has a beautiful cut around the upper edge that adds depth and a flat bottom allows it to sit anywhere. 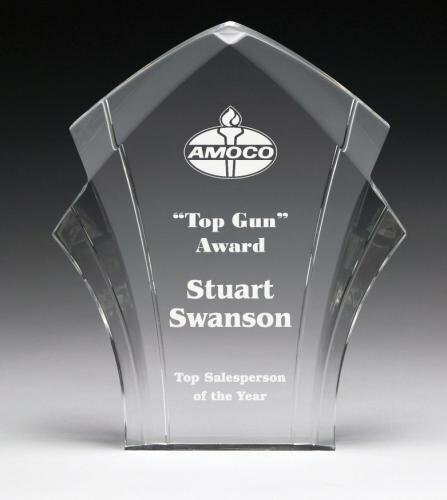 A large engraving or laserable area that can accommodate any of your personalization needs completes these awards. 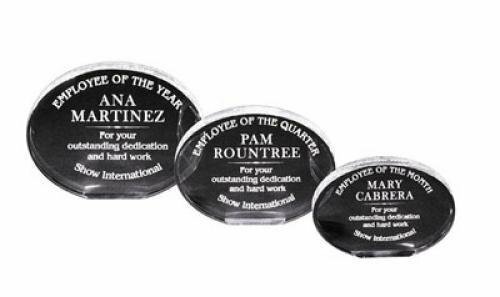 Flexibility is a key component for these awards as they are offered in either clear, jade, black / clear and your choice of three sizes 4" X 6", 5" X 7", or 6" X 8". 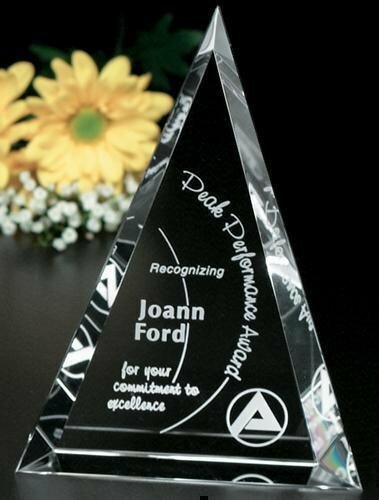 These are beautiful awards that anyone would be proud to give or receive. 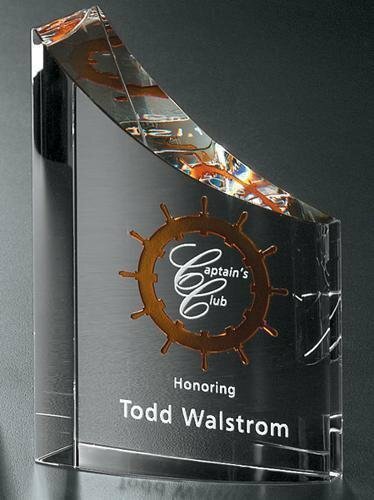 Elegant is the only term that one can use when describing these 1" thick Panache Acrylic Awards. 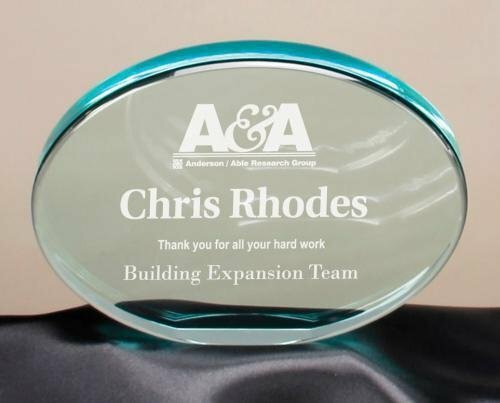 Each piece is designed with 3D cuts that create a unique design and shape that enhances a large engraving or laserable area that can accommodate any of your personalization needs. 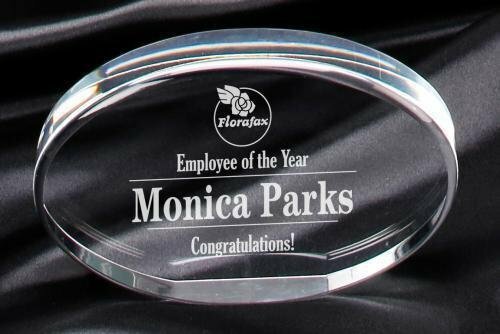 Flexibility is a key component for these awards that come in your choice of three sizes 6", 7", or 8" and are available in clear only. 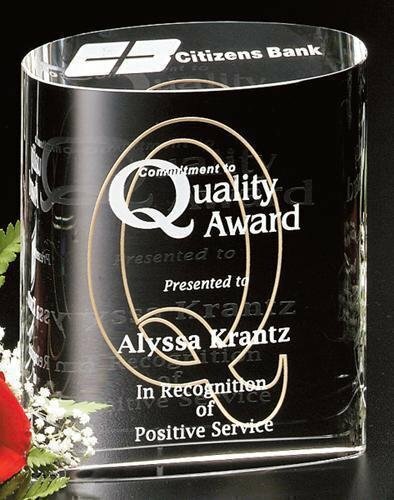 These are beautiful awards that anyone would be proud to give or receive.